It’s nature plus nurture here. Hike, bike, play tennis, picnic, and bring the dogs to Berkeley Lake Park and Rocky Mountain Lake Park where you’ll find a tennis court, dog park, and rec center. Or nurture your artistic self with concerts at the historic Oriental Theater and First Friday Art Walks on Tennyson. 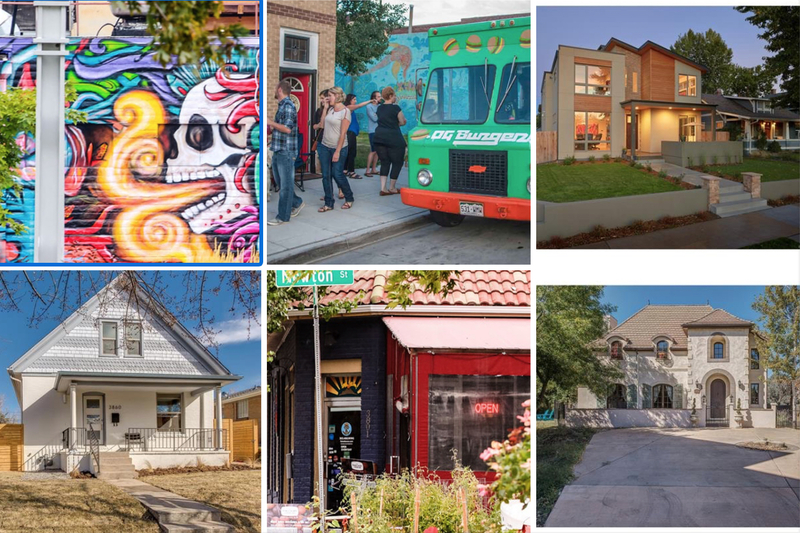 On the east side of Berkeley is Harkness Heights, a designated historic Denver neighborhood where you can find historic homes. This area consists of larger brick bungalows and Denver squares. Berkeley’s main drag, Tennyson, is experiencing a renaissance of renewal with numerous art galleries, locally owned restaurants, and a diverse mix of businesses, boutiques, and specialty food shops. For authentic Mexican and Italian fare, you can’t beat the endless options on Federal. Families will like the nearby library, churches, and aforementioned parks. Berkeley is a terrific living option for those who desire both urban energy and neighborhood charm.